A Sketch of the Events Which Preceded the Capture of Washington by the British on the Twenty-fourth of August, 1814. Carey and Hart, Philadelphia. 1849. Hardcover. 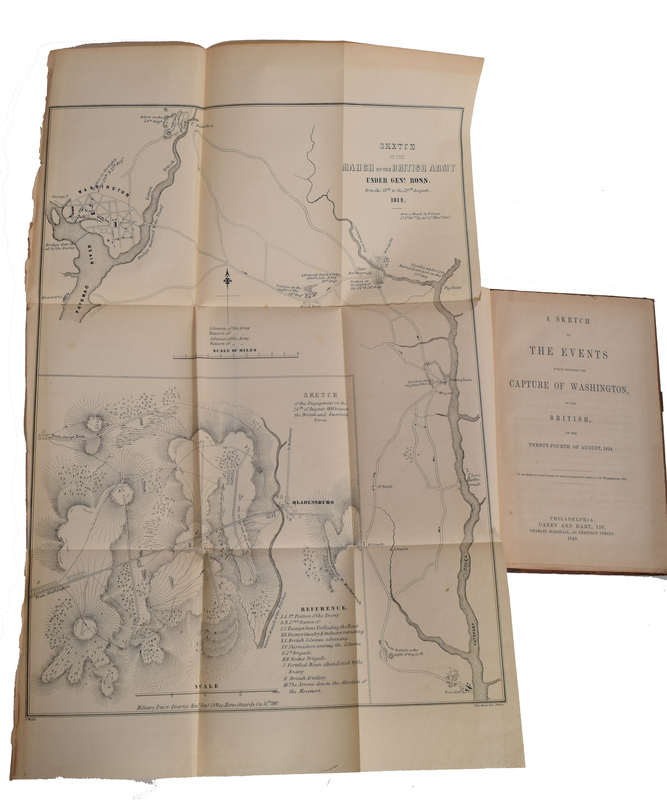 5.5"w x 8.5"h. 66 pages with large fold-out map. Front board and end paper separated.